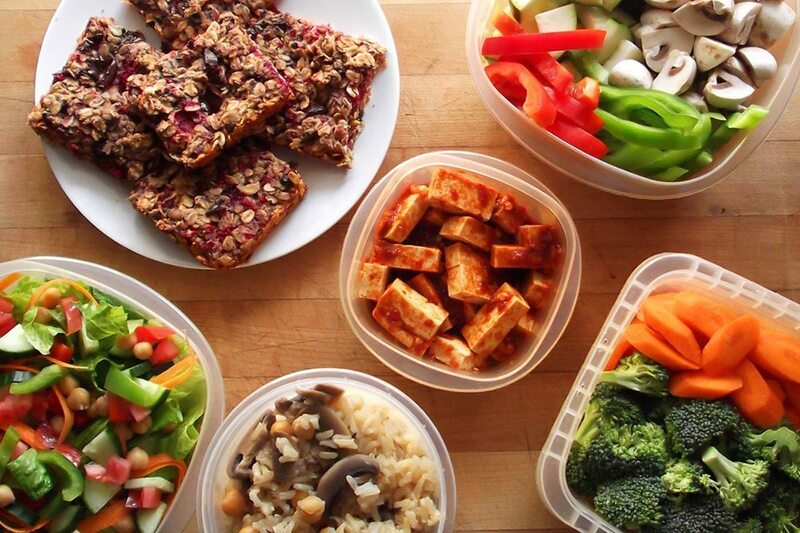 When you’re eating healthy, flavor is a luxury. 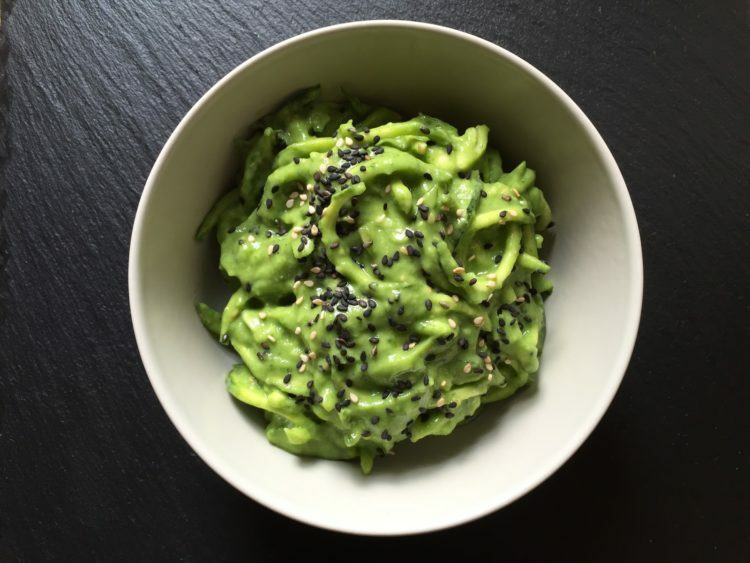 This Creamy Avocado and Spinach Sauce is a clean condiment that takes an ordinary meal to the next level. I make this recipe weekly, and put it on everything. Pasta. Vegetables. Shredded Chicken. Fish. It is so good. 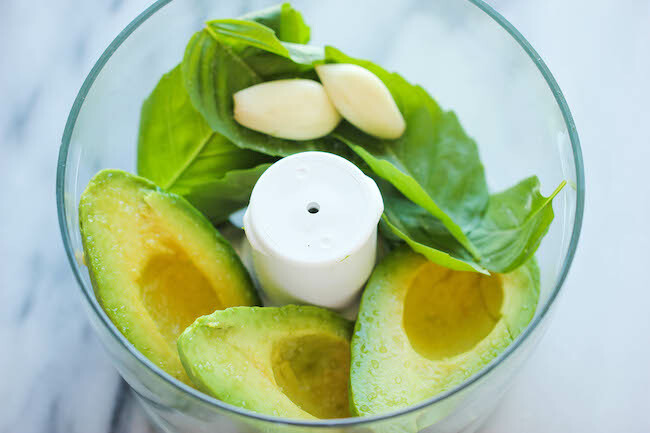 Add the lemon juice, oil, avocado flesh, spinach and 1 tablespoon water and process until smooth, stopping to scrape down the bowl as needed. If the sauce is too thick, add another 1 tablespoon water. Because avocados oxidize quickly it’s probably best to serve this sauce immediately. However, I’ve stored and refrigerated in an airtight container for approximately three days if you’re looking to make a batch in bulk! Original recipe inspired by Oh She Glows, image via Simply Scratch.